Carolina - earned reputations in their careers as award-winning "outlaw" journalists who always stood up to wrongdoers and wrong doing. editors searched for the truth, wherever it took them and at whatever cost. 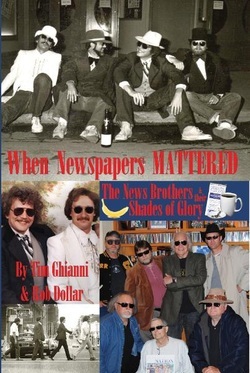 This book is a story about their love for newspapers... What went wrong... And why. It's also about the two long ago murders that continue to haunt them to this day. Their story is dark. It's funny. It's honest. It's brutal. But most of all, it's the truth - and in the end, that's all that really matters to two old newspapermen who never backed down. 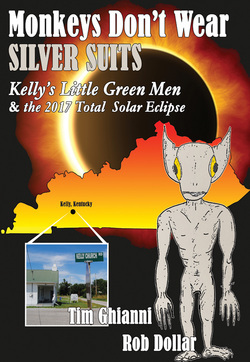 The subtitle tells it all: Monkeys Don't Wear Silver Suits is all about the "Little Green Men" of Kelly, Kentucky, and the coming 2017 Total Solar Eclipse. 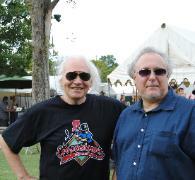 Rob and Tim interview relatives and townspeople from the event that was the basis for innumerable science fiction books and movies. Get it from the sources!